Many people with diabetes have high blood pressure. 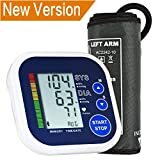 Keeping your blood pressure under 140/90 mm/Hg can help to keep your heart healthy, and decrease stress on arteries, which are already at increased risk of hardening from diabetes. That’s why it’s important to keep track of your blood pressure when you have diabetes. 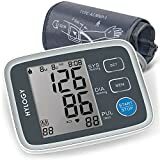 Today we look at the Top 5 Blood Pressure Monitors for home use. 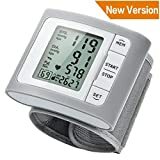 Blood pressure monitors can differ slightly in how they function but most cuffs will be placed around the upper part of one arm. The cuff will inflate quickly, then slowly release pressure from the cuff to measure the blood pressure. The systolic number is the top number on a blood pressure measurement. Less than 120 mm Hg is considered normal. This number represents how hard is the blood being pushed when the heart is in the process of pumping. The diastolic number (or the bottom number) measures how hard the blood pushes between heartbeats while the heart is relaxed. A normal diastolic number is less than 80 mm Hg. 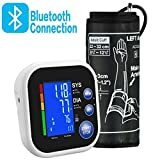 The obvious benefit of owning a blood pressure monitor is the fact that you can check your blood pressure at your convenience and not have to travel or wait in line. Having the freedom to test your blood pressure consistently in a similar fashion can provide accurate results. Being able to track your blood pressure can help with peace of mind for some individual. Please leave any comments or a review below.